We care for all of your cooling and heating needs. 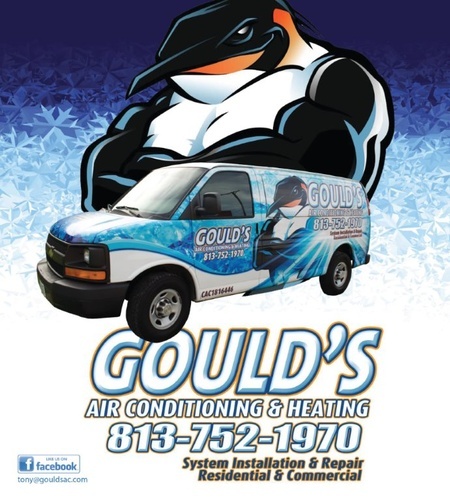 Gould's Air Conditioning & Heating has been providing Air Conditioning and Heating services in Plant City, Florida and surrounding areas for over 30 years. We care for all of your cooling and heating needs whether it's servicing your existing system, providing a standard AC Repair or replacing it with a new high efficiency cooling and heating system. With great pricing and experienced technicians, we will make sure your experience with us is a pleasant one. Our pricing is consistently lower than most if not all of our competitors, making Gould's Air Conditioning & Heating the ideal choice. We offer same day service to both residential and commercial customers and not only provide Air Conditioning in Plant City but in the surrounding areas as well.